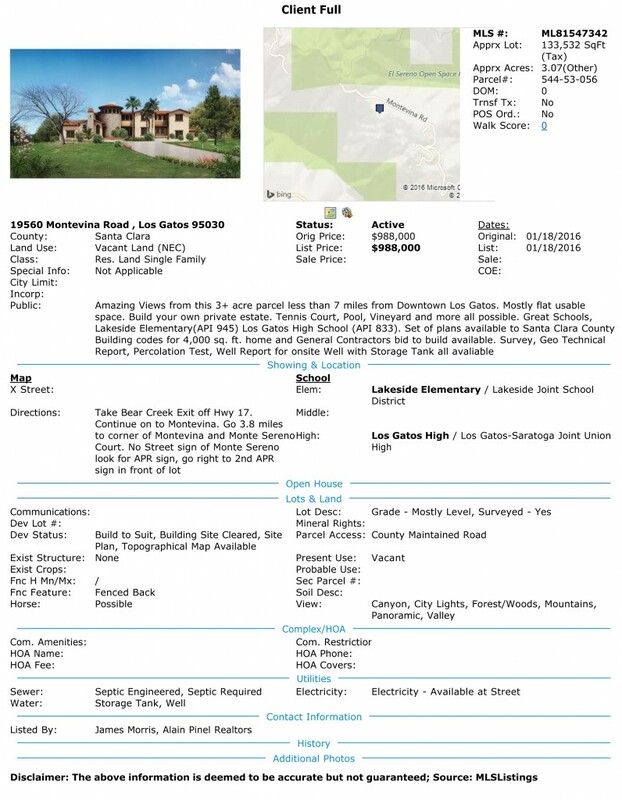 Los Gatos Views.Welcome to my Listing page for 19560 Montevina Road. 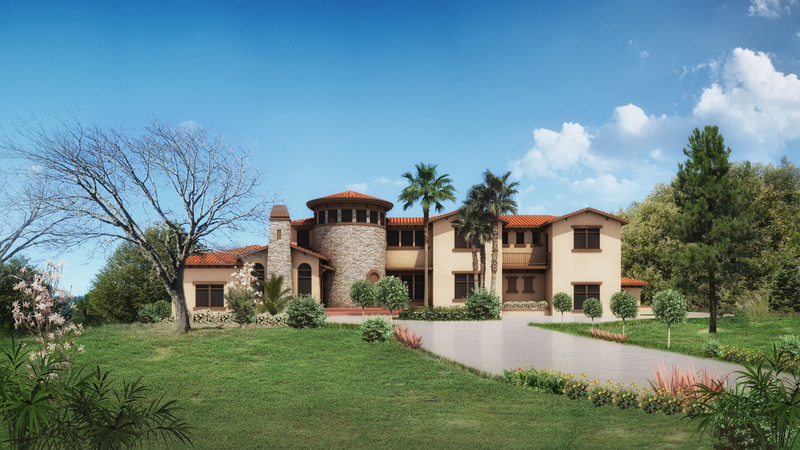 Click here to view the non site specific plans that are included with this property. This lot has well water and holding tank onsite, electricity at the street and the percolation test for septic is passed and complete. The site specific geo-technical investigation is complete, as well as a site survey. This 19560 Montevina Road Los Gatos CA is ready to build on. Please take a few moments to check out the additional areas of my website. There are lots of useful tools and information, from MLS Property Searches, Contractor, Lender Recommendations etc, as well as Real Estate Market Information and more. Los Gatos Views, just for you. The town of Los Gatos is an incorporated town in Santa Clara County, California, United States. The population was 29,413 at the 2010 census. According to Bloomberg Businessweek, Los Gatos is ranked the 33rd wealthiest city in the United States. It is located in the San Francisco Bay Area at the southwest corner of San Jose in the foothills of the Santa Cruz Mountains. Los Gatos is part of Silicon Valley, with several high technology companies maintaining a presence there. Most notably, streaming and content creator, Netflix was founded in Los Gatos and has developed a large presence in the area. Los Gatos Views. The mountain terrain, the Pacific Ocean, and the nearby San Francisco Bay have wide ranging effects on the appellation, creating myriad microclimates in the region – depending on the elevation of the land, on which side of the mountains are the vineyards, the effects of fog, sun exposure, soil type, etc. Los Gatos Views.